One of the reasons that Harvey was so destructive is that people did not have adequate time to prepare for the storm. Harvey formed very quickly and was expected to make landfall as a tropical storm or, at most, a Category 1 hurricane. The upgrade to above Category 1 status occurred very quickly before landfall. Although local employers and school districts struggled to make arrangements for people to have time to plan adequately, people had less than 24 hours to plan for the severity of the storm. Therefore, many people did not evacuate flood-prone areas, not because they were ignoring recommendations, but because they did not have time to do so before the storm hit. 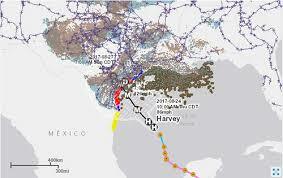 In addition, once Harvey’s severity was realized, it became clear that Harvey would bring a major flooding event. This is because, despite the speed of its rotational winds, Harvey was a very slow-moving storm. The weather pattern means that Harvey continued to pick up water from the Gulf of Mexico and dump it over the same area of Texas over a period of days. These super-saturated areas experienced repeated episodes of flooding. Each flooding episode impacted more and more areas, as the traditional flood drainage plans were overwhelmed by the sheer volume of water. Finally, Harvey’s destruction would not have been as noticeable if it had hit elsewhere along the coast of the Gulf of Mexico. Though it made landfall in a relatively sparsely-populated area of Texas, the “dirty” side of the storm, where most of the rain and tornadoes were expected, hit the metropolitan Houston area. The metropolitan Houston area is the country’s fourth-most-populated metropolitan area. The sheer number of people impacted intensified the storm’s destruction. Combined together, a number of factors made Hurricane Harvey a significant storm. First, the storm formed quickly and escalated to a Category 4 in a very short period of time, giving people inadequate time to prepare for it by evacuating. Second, because Harvey was slow-moving, the flooding and tornadoes continued for days after Harvey made landfall. Finally, Harvey’s location contributed to its destruction; it impacted the fourth-most-populated metropolitan area in the country. Although it may be months before officials can begin to estimate the financial damages, the amount of injuries, or the death toll related to the storm, these factors make it clear that Harvey might be the most destructive natural disaster to ever hit the United States. "Hurricane Harvey Essay." Aceyourpaper.com. Student Network Resources Inc, 28 August. 2017. Web. 18 April 2019. Student Network Resources Inc. "Hurricane Harvey Essay." Aceyourpaper.com. 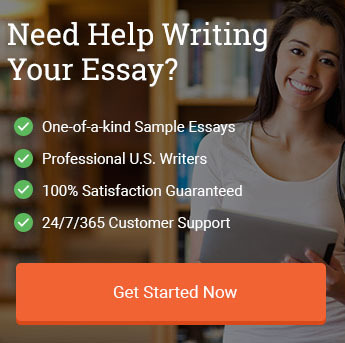 https://www.aceyourpaper.com/essay/hurricane-harvey-essay/ (accessed April 18, 2019).